NEW YORK, NY, January 10, 2019 — Marquis Who's Who, the world's premier publisher of biographical profiles, is proud to present Louise Kerz Hirschfeld with the Albert Nelson Marquis Lifetime Achievement Award. An accomplished listee, Ms. Hirschfeld celebrates many years' experience in her professional network, and has been noted for achievements, leadership qualities, and the credentials and successes she has accrued in her field. As in all Marquis Who's Who biographical volumes, individuals profiled are selected on the basis of current reference value. Factors such as position, noteworthy accomplishments, visibility, and prominence in a field are all taken into account during the selection process. With more than 35 years of experience to her credit, Ms. Hirschfeld has been retired from full-time career pursuits since 1996, having previously worked as a research consultant for Smith-Hemion TV Productions in Los Angeles, CA, from 1987 to 1996. 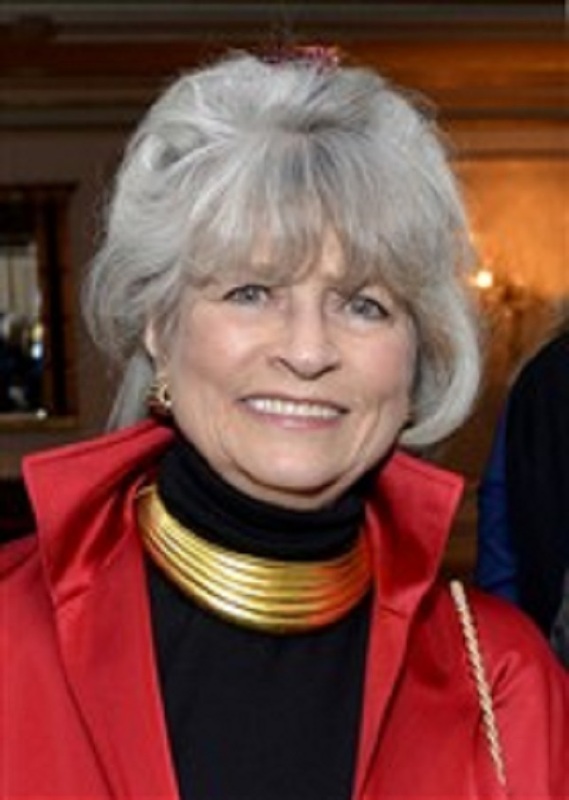 Prior to this appointment, she held the position of a theatrical curator for the California Museum of Science and Industry in 1985, “The de Mille Dynasty” in 1984, the New York Public Library for the Performing Arts at the Lincoln Center for the Performing Arts in New York, NY in 1984, “The Theatre of Max Reinhardt” in 1974 and the New York Cultural Center in New York, NY, in 1974. Likewise, she served as a research consultant for “CBS: On the Air” in 1978. Ms. Hirschfeld began her career as a theater production assistant for Leo Kerz Productions in New York, NY, from 1960 to 1974, during which time she was the associate producer for the Broadway production of “Rhinoceros” in 1961. The first of her family to have enrolled in higher education, Ms. Hirschfeld embarked upon her professional path at Queens College, a part of the City University of New York system, completing coursework between 1954 and 1956. She concluded her studies with additional coursework at Marymount Manhattan College from 1972 to 1974. A determined child of German immigrants, she initially hoped to become a political science educator but was unexpectedly drawn to the advertising business in New York. After attending acting classes for several years, Ms. Hirschfeld decided to enter the theater industry in non-performing capacities, which bestowed her with a greater purpose. Beyond her responsibilities within the field, Ms. Hirschfeld has participated in numerous endeavors outside of her professional circles. She has contributed her photos to exhibitions at the Leica Gallery in 2002, the Art Students League in 2007 and the New Orleans Historical Society in 2011. An executive consultant and liaison for catalogs, books and events surrounding Hirschfeld Exhibitions in 2001, she has flourished as a consultant for “The de Mille Family” documentary for the American Movie Channel in 1997, and the Hirschfeld Exhibits at the Museum of the City of New York and the Academy of Motion Picture Arts and Sciences in 2001. Ms. Hirschfeld found success with her creative works as well, having been the executive producer of two short films, “Chess in the Schools” and “Look Who's Minding the Planet,” between 2015 and 2017. Ms. Hirschfeld further excelled as an exhibit organizer for the Victoria & Albert Museum, the Hirschfeld Celebration at the Theatre Museum and the Royal National Theatre in London, “Al Hirschfeld's Brits on Broadway” at the Royal National Theatre in London, “Hirschfeld on Shaw” in Ontario, Canada, and “The Hirschfeld Century” for the New York Historical Society. She was additionally active as the director of research for Greengage Productions in 1988 for Julie Anore, and the “Tony Awards' 50th Anniversary Show” telecast in 1996, the director of rights and permissions for “The Line King: The Al Hirschfeld Story” in 1996, and the director of “The Hirschfeld Arts Blueprint.” Moreover, she built her career as the curator and director for a Broadway exhibit in 1995, a curator and writer for “Hirschfeld British Aisles” in 2005, and the organizer for “Al Hirschfeld's Jazz & Broadway Scrapbook” at the Sheldon Art Galleries in Saint Louis, MO, in 2012. Ms. Hirschfeld also held the post of a contributing editor for New York City Access in 1983 and the picture editor for “The de Milles: An American Family” in 1988 and “Al Hirschfeld: On Line” in 1998. Since 2007, Ms. Hirschfeld has been an ambassador of the Theatre Collection at the The New York Public Library for the Performing Arts as well as the board director for the Martin E. Segal Theatre at the Graduate Center of the City University of New York. Furthermore, she held the role of president for the Al Hirschfeld Foundation from 2004 to 2015 and the New York City Board of Education in 2008. A research historian for a six-part television series on Broadway in 1997, she provided her skills and time to the Tony Awards Nominating Committee for the American Theatre Wing, Inc. from 2000 to 2003 and the Centennial Salute to Al Hirschfeld for the New York Public Library for the Performing Arts in 2003. In 1991, Ms. Hirschfeld volunteered in the Persian Gulf War for the World Jewish Congress in Israel. A self-made cultural historian who attributes her success to Agnes de Mille, Ms. Hirschfeld remains affiliated with various organizations in relation to her areas of expertise. She had been associated with the Robert Wilson Water Mill Foundation as a board member of the Watermill Center from 2012 to 2013. She was notably recognized as a “Living Landmark” by the New York Landmarks Conservancy in 2011. Ms. Hirschfeld has also maintained involvement with the Theatre Library Association, the League of Professional Theatre Women, and the Dutch Treat Club. In light of her exceptional undertakings, Ms. Hirschfeld has accrued several accolades throughout her impressive career. Recently, she has been presented with the New York Symphony Space in 2011 and the Honorary Erwin Piscator Award in 2012. The proud mother of two and grandmother of six, Ms. Hirschfeld was selected for inclusion in multiple editions of Who's Who in America, Who's Who in the East, Who's Who in the World and Who's Who of American Women. In recognition of outstanding contributions to her profession and the Marquis Who's Who community, Ms. Hirschfeld has been featured on the Albert Nelson Marquis Lifetime Achievement website. Please visit www.ltachievers.com for more information about this honor.